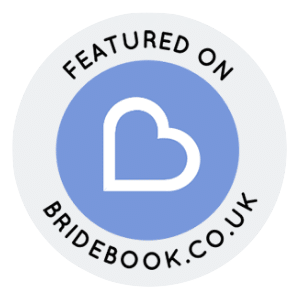 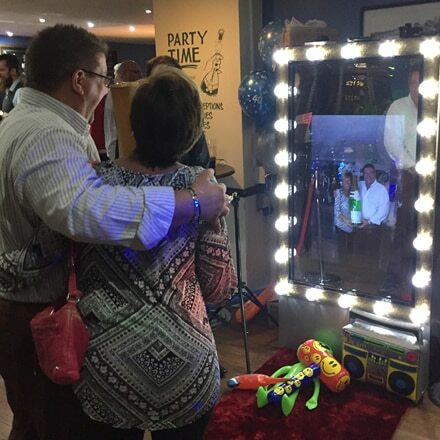 We have the brand new MUST HAVE entertainment for parties and is great fun for your party / wedding or corporate guests when they all come together. 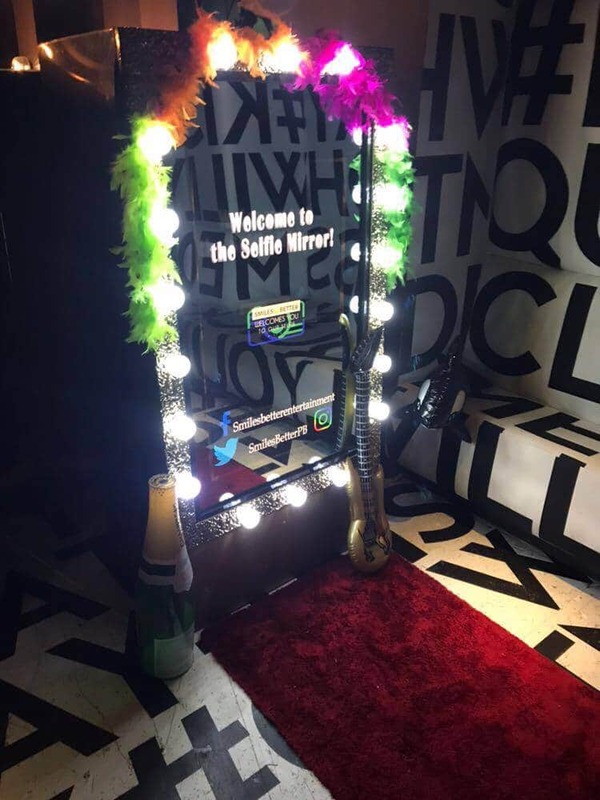 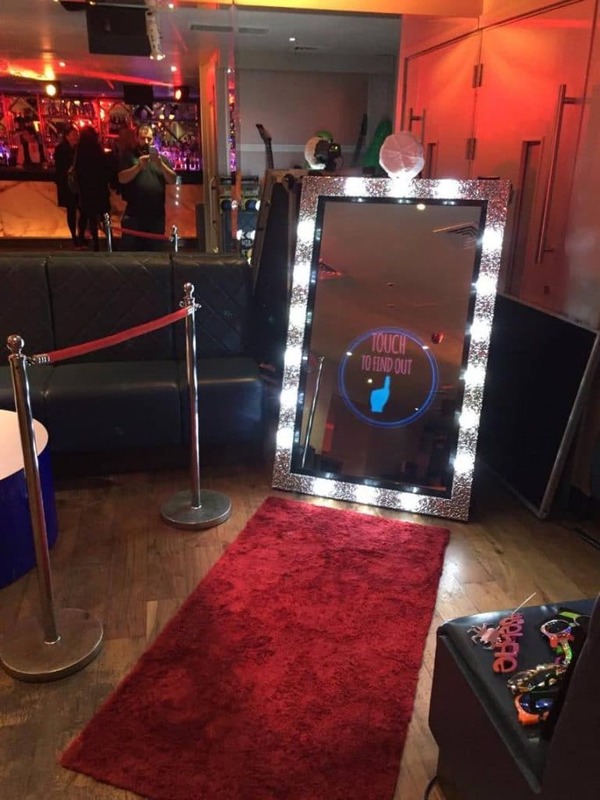 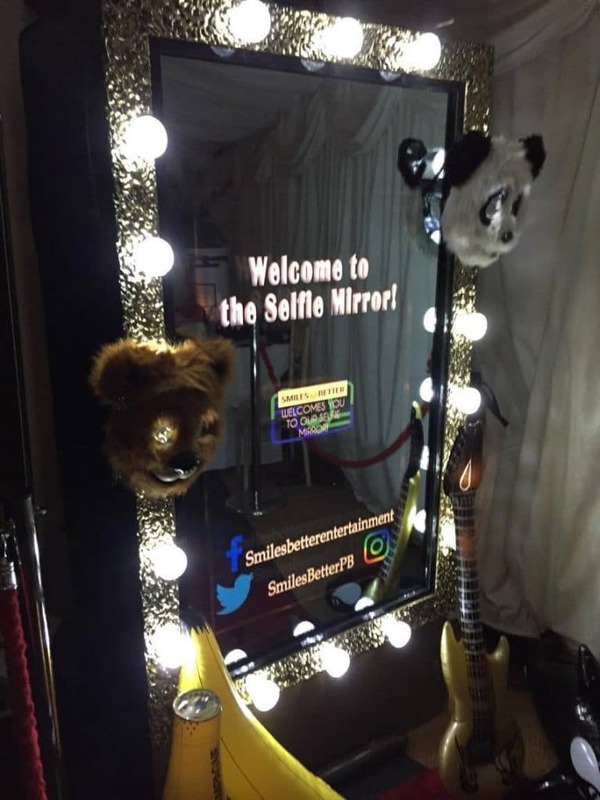 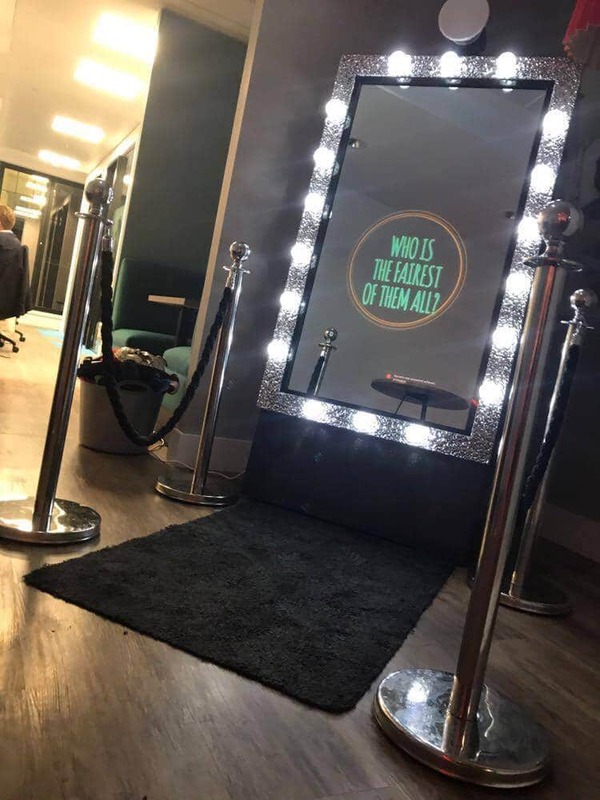 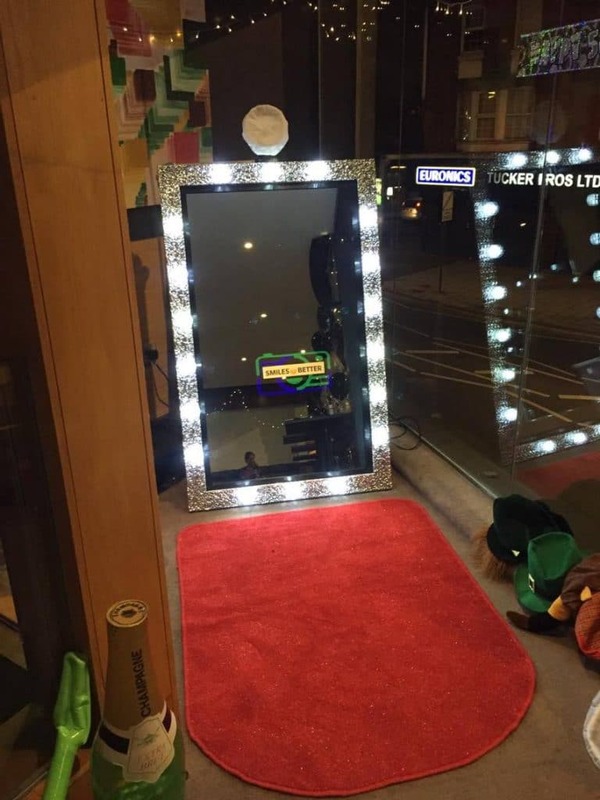 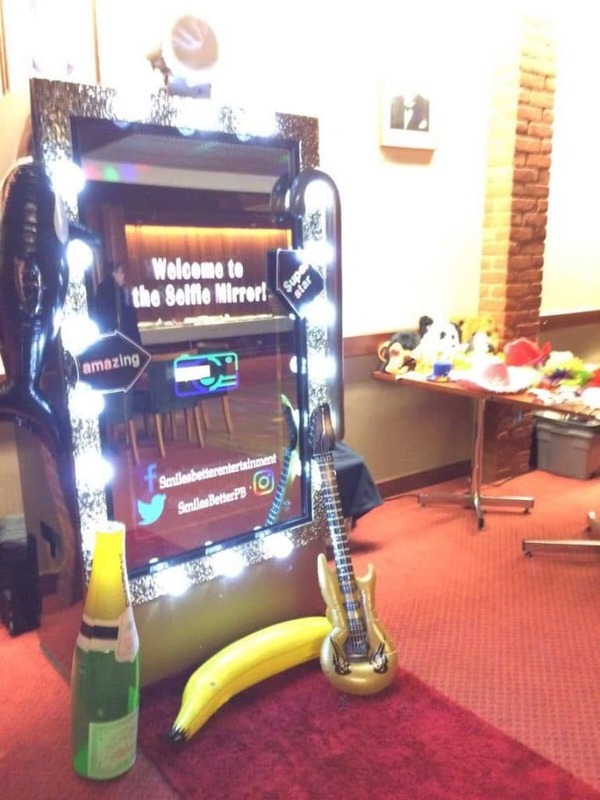 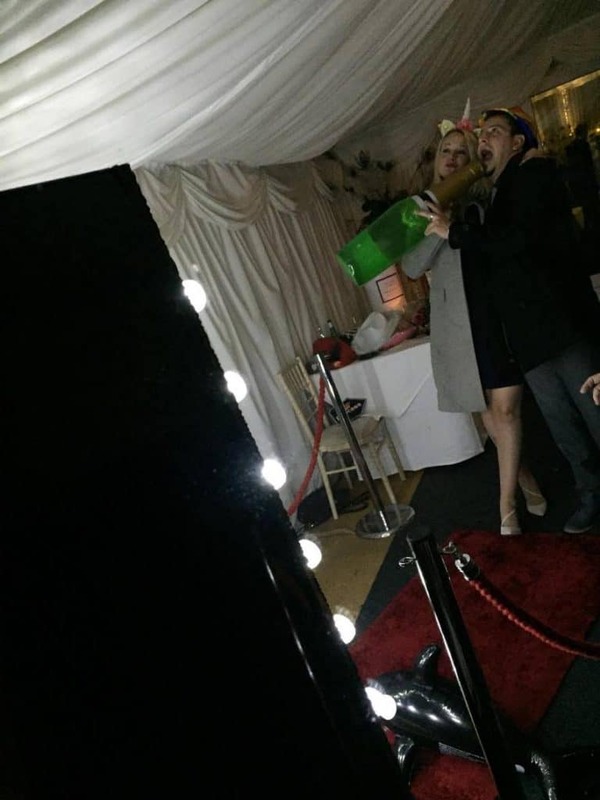 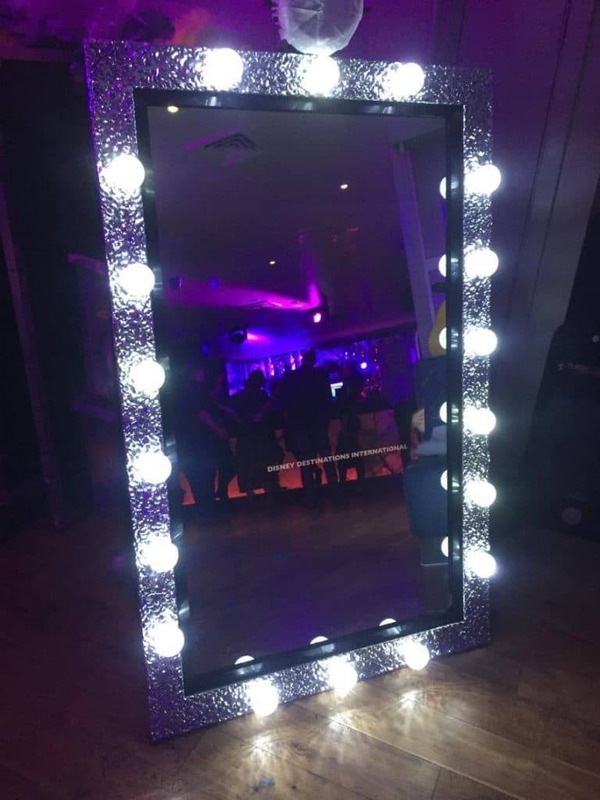 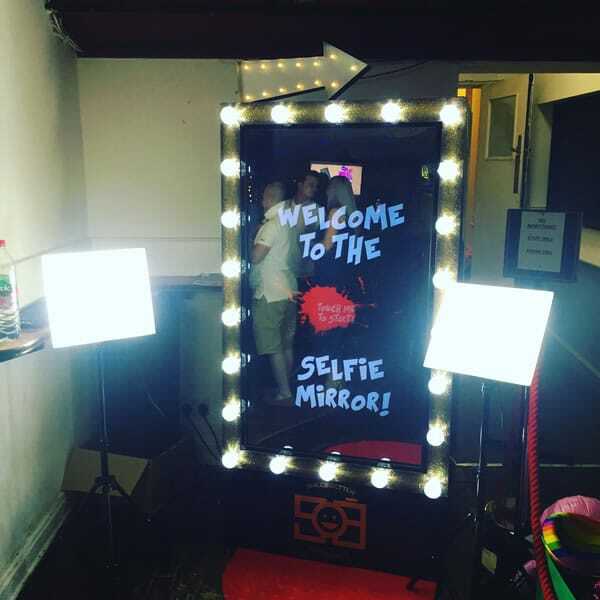 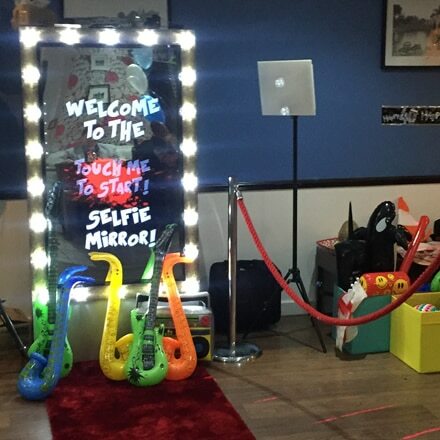 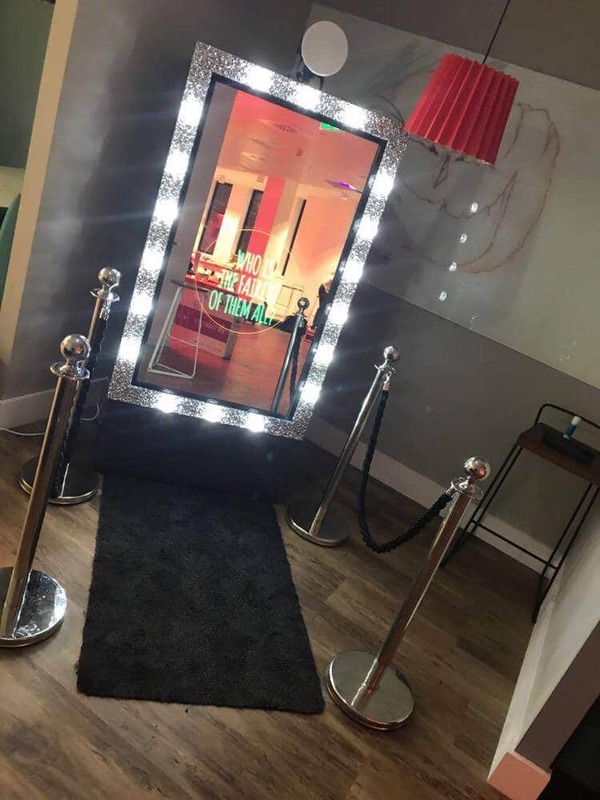 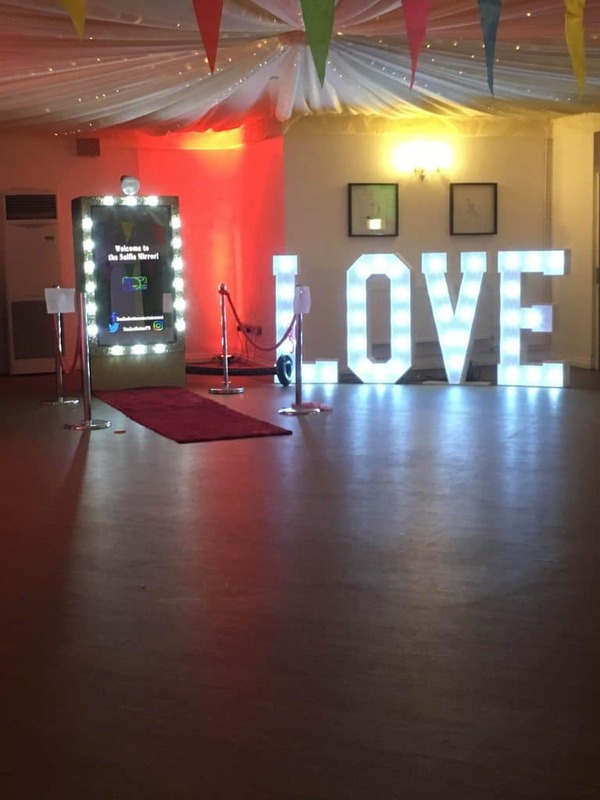 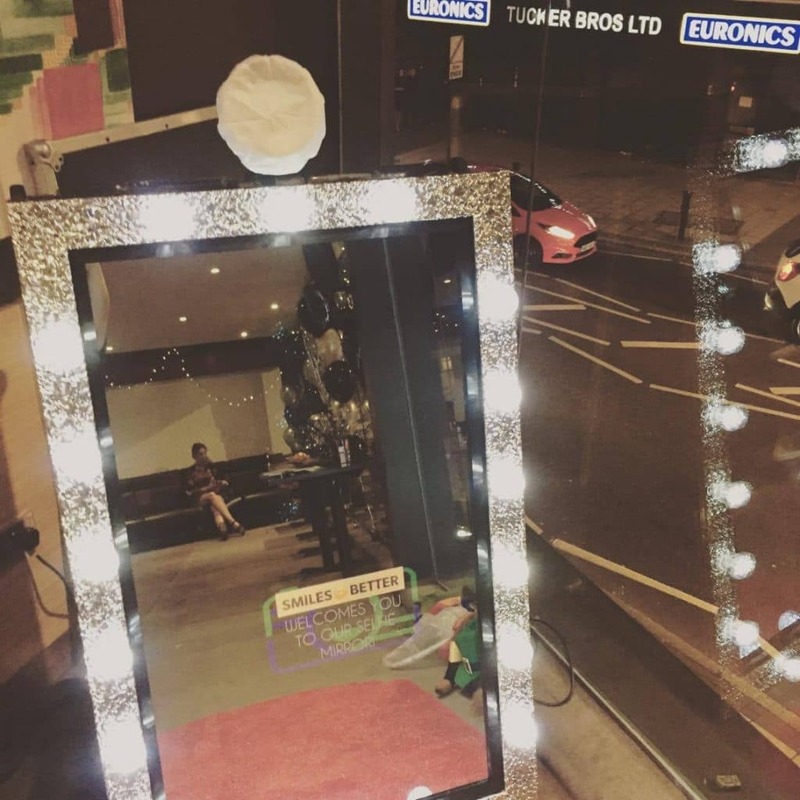 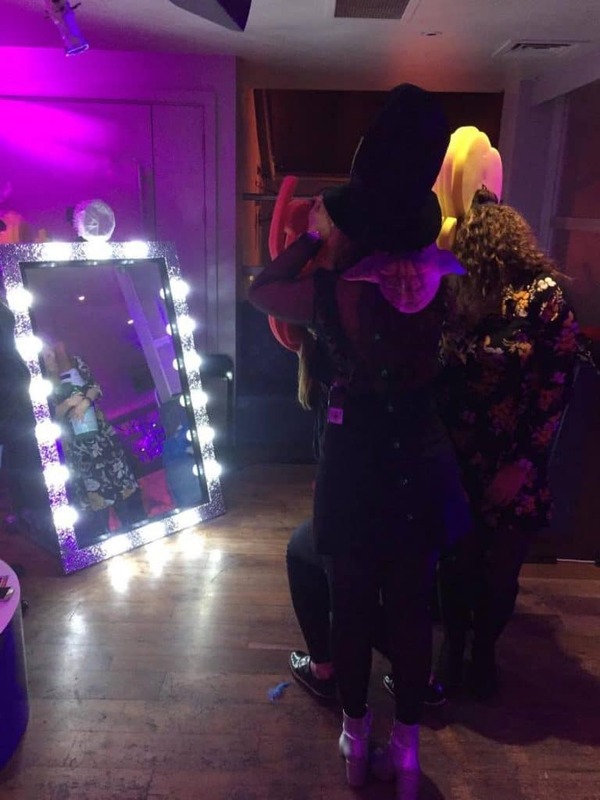 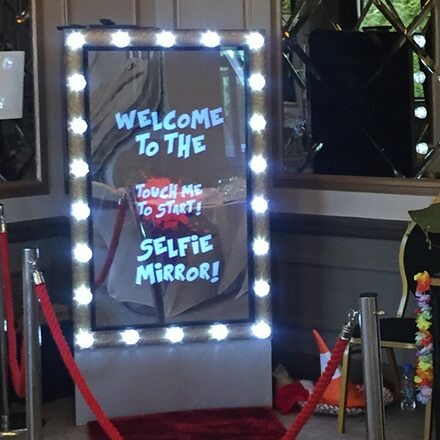 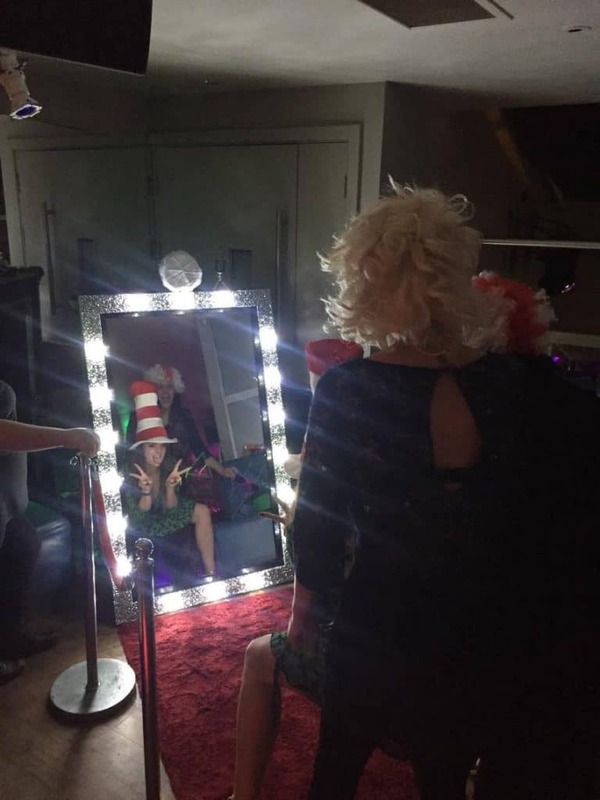 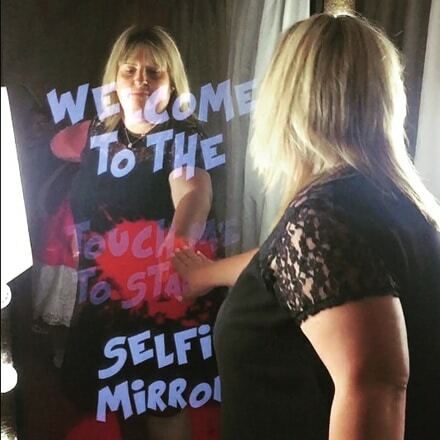 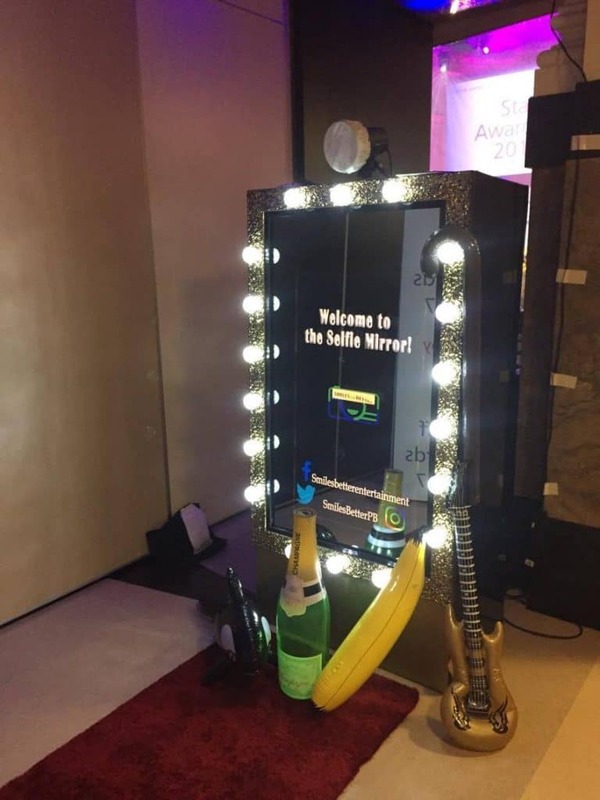 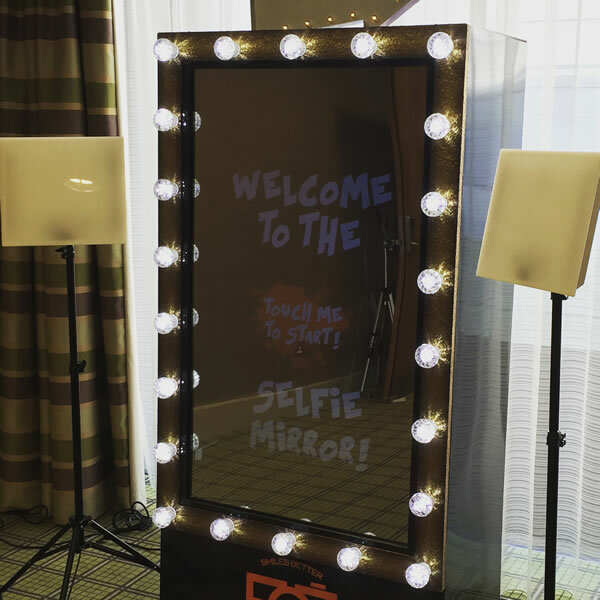 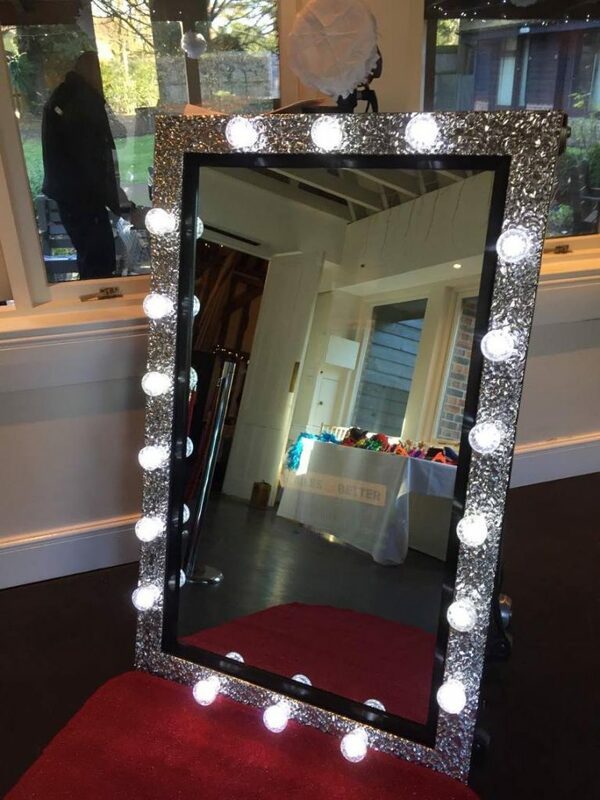 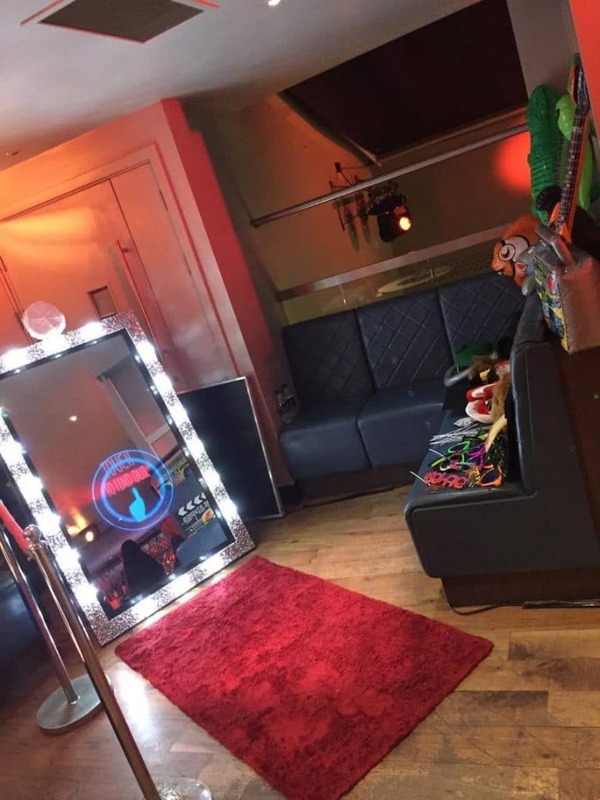 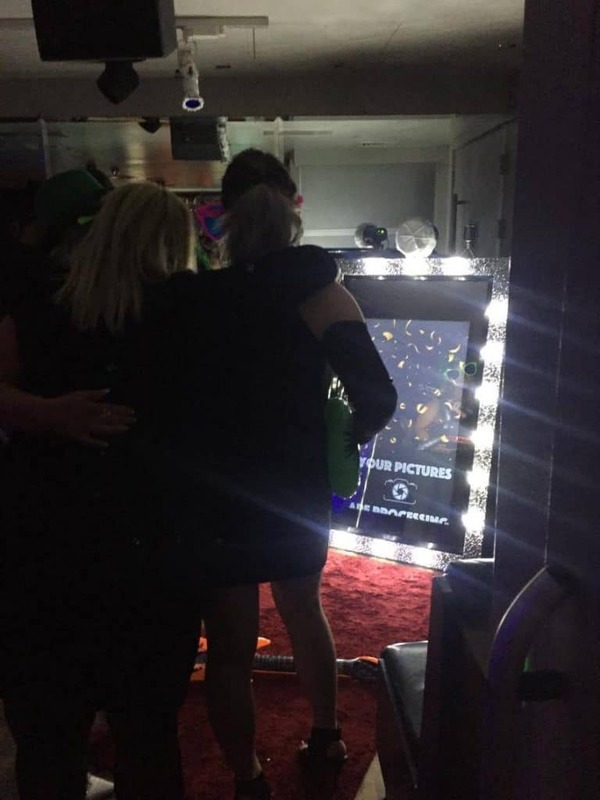 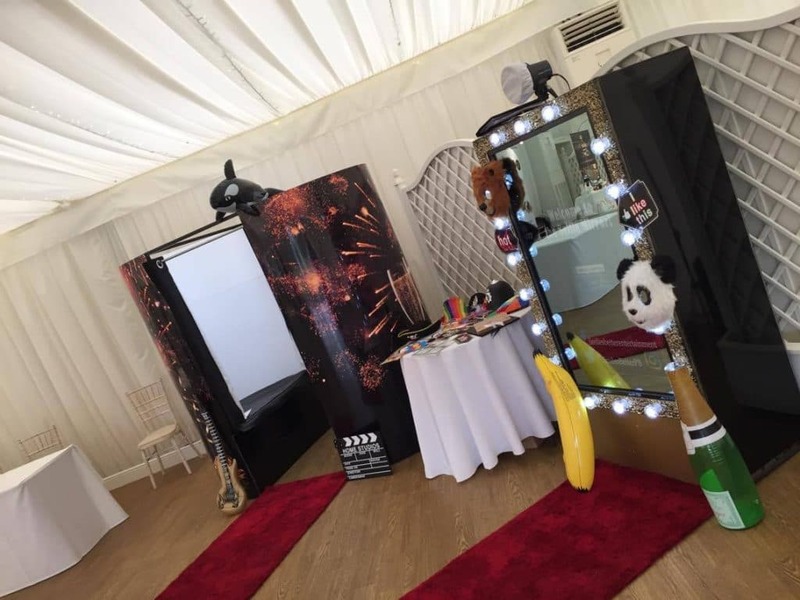 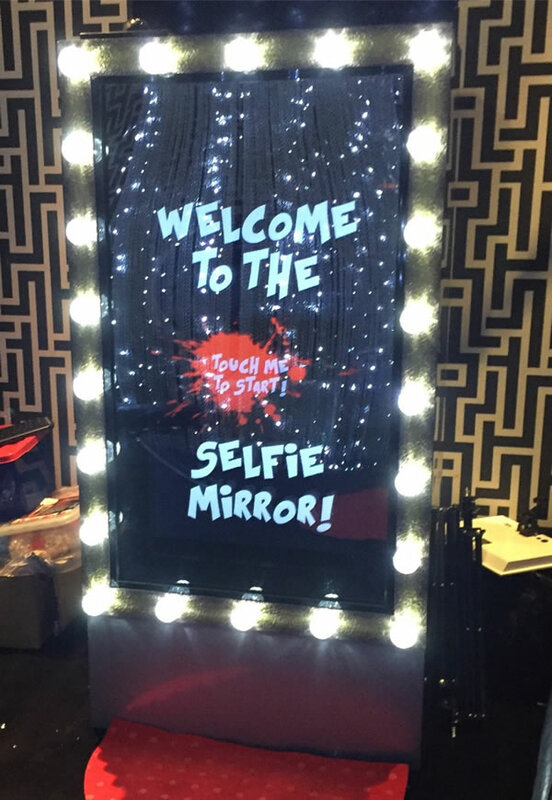 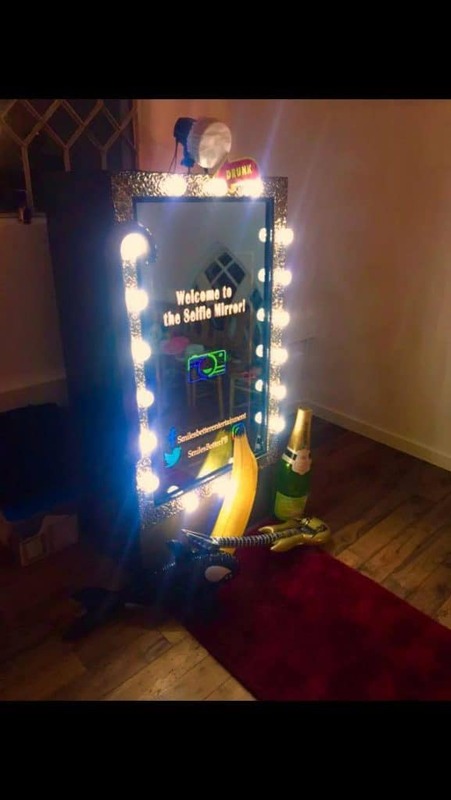 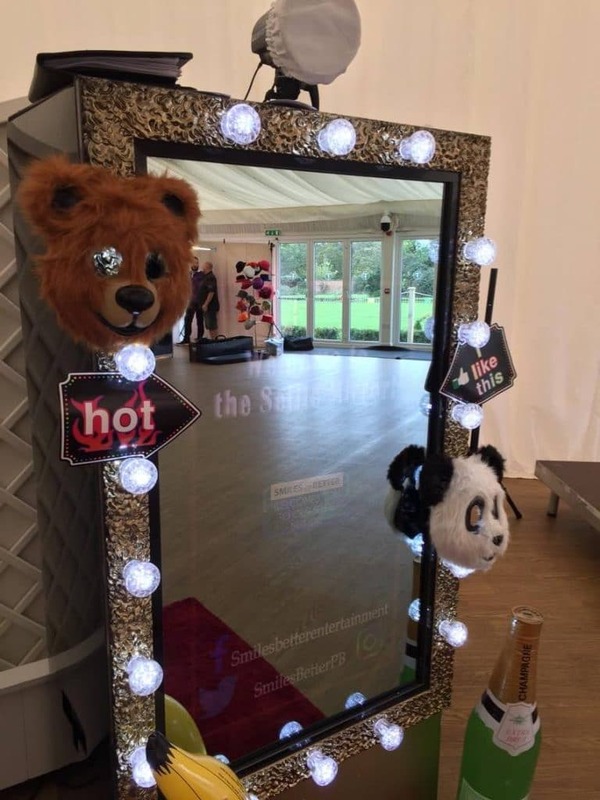 Using an innovative idea, your groups and friends can all come together for the funniest photo opportunities by using our full length mirror which is touch sensitive and with full instructions asking you to pose prior to taking your picture. 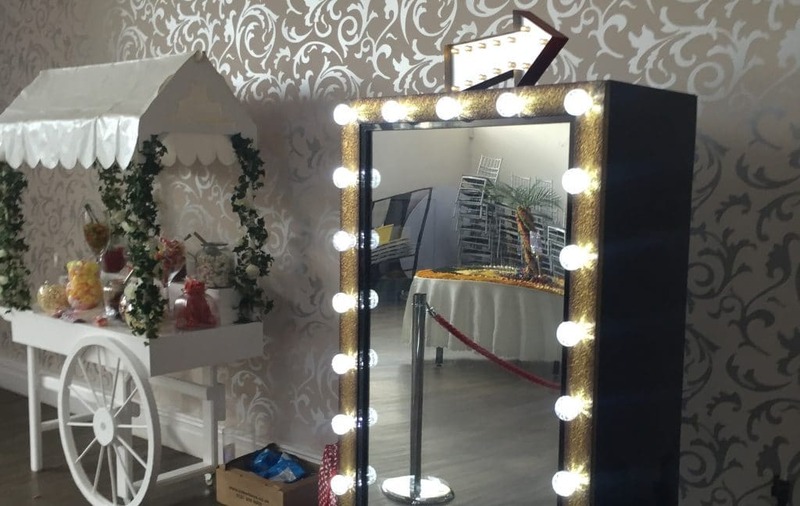 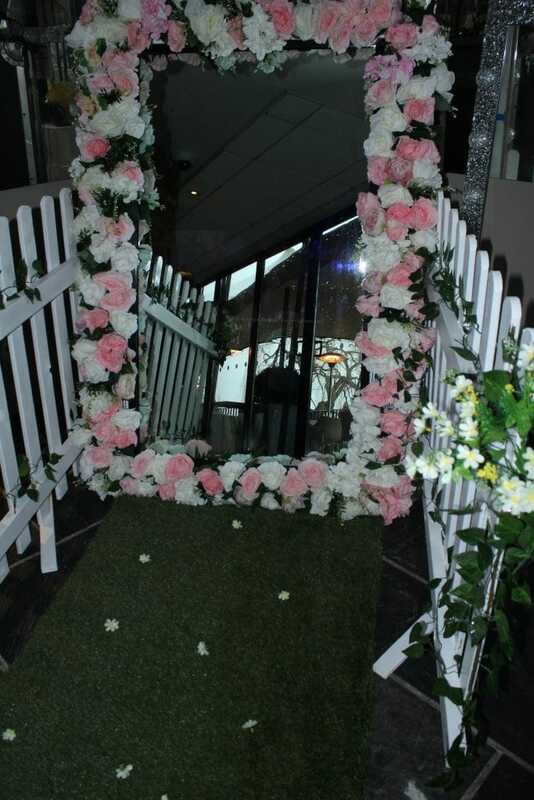 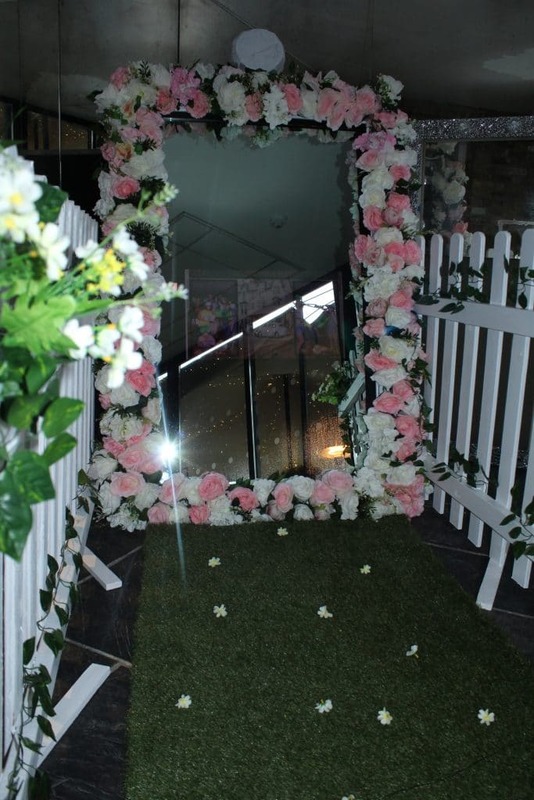 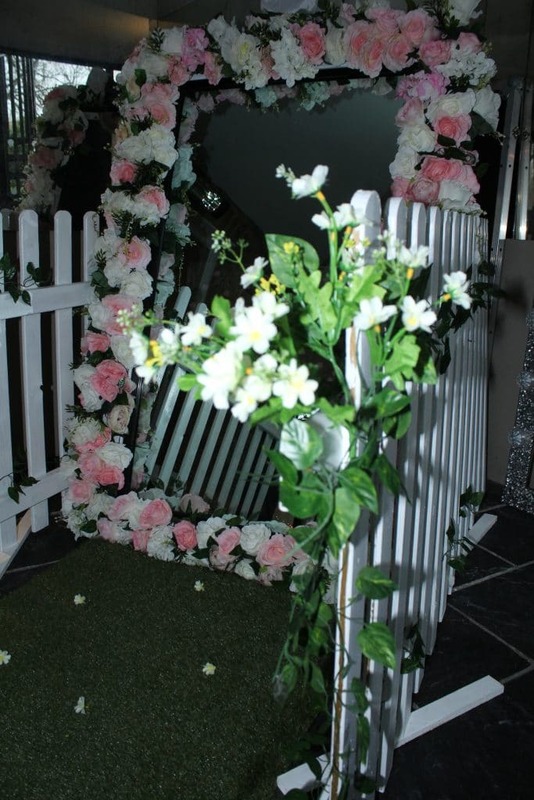 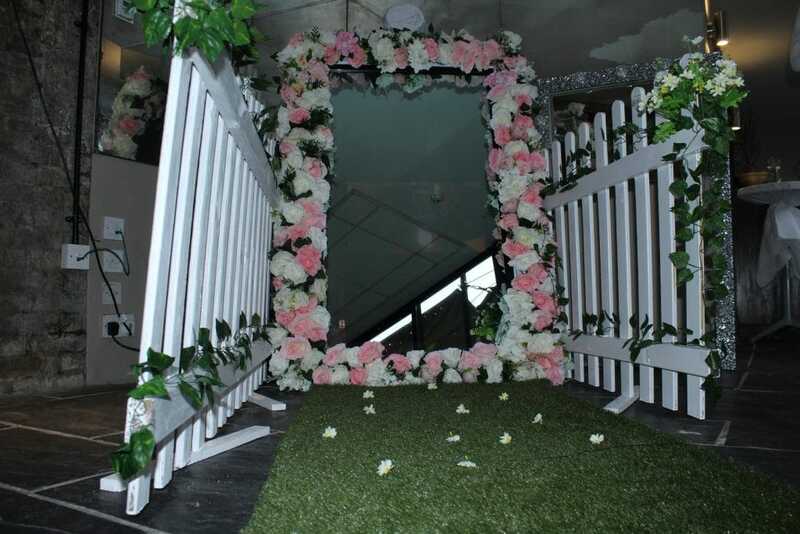 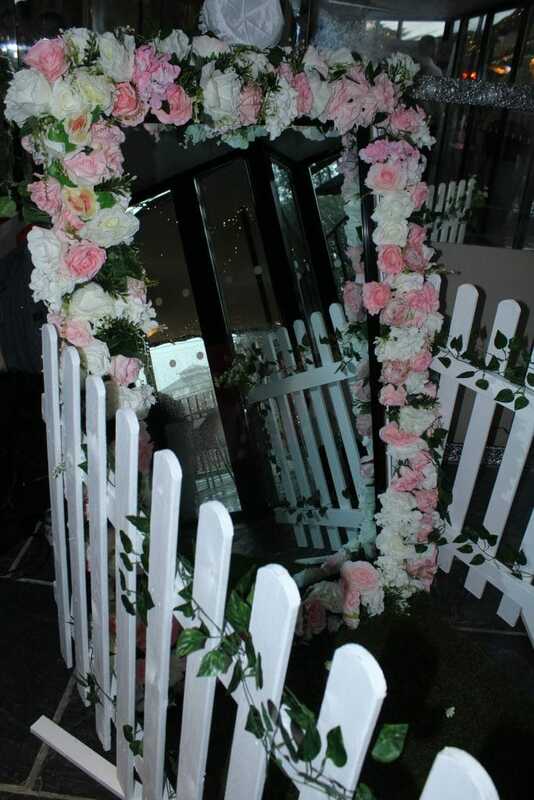 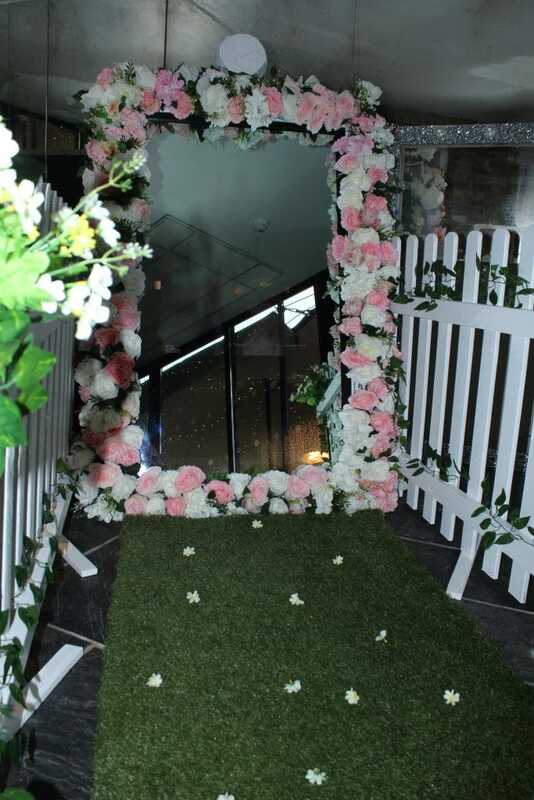 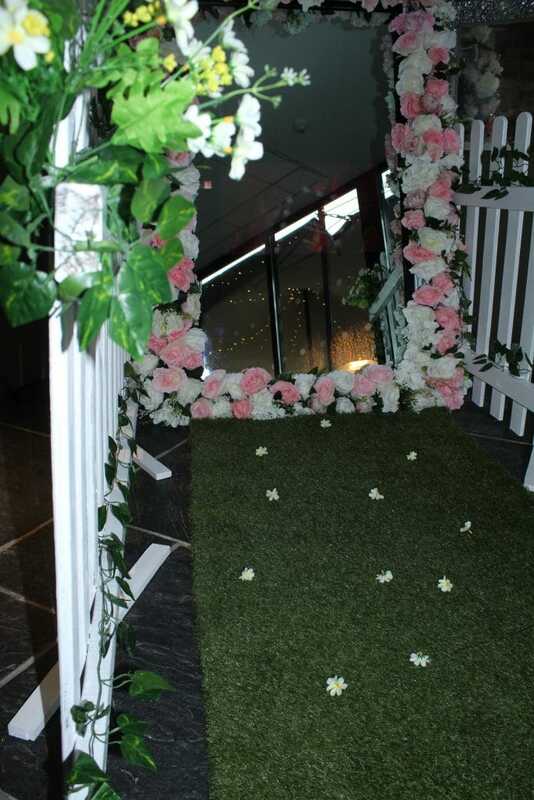 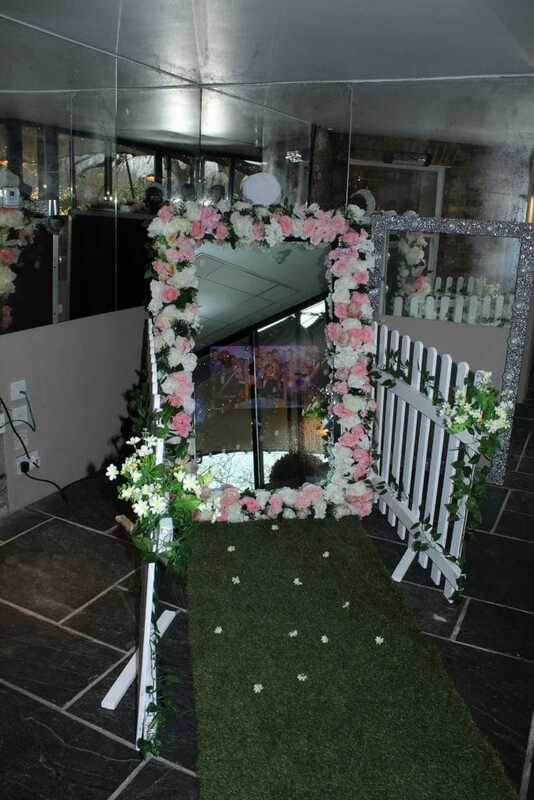 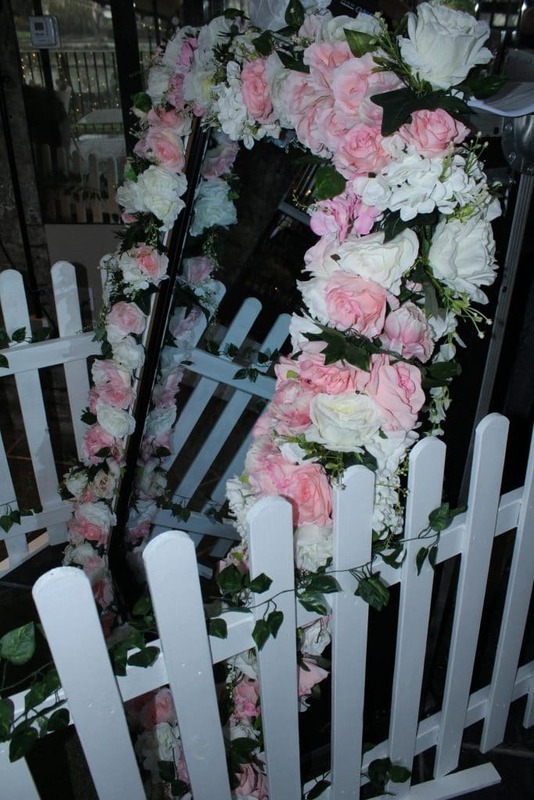 Our mirrors come with the eye-catching Hollywood Lights, or English Garden frame, with flowers to match the colours of your event. 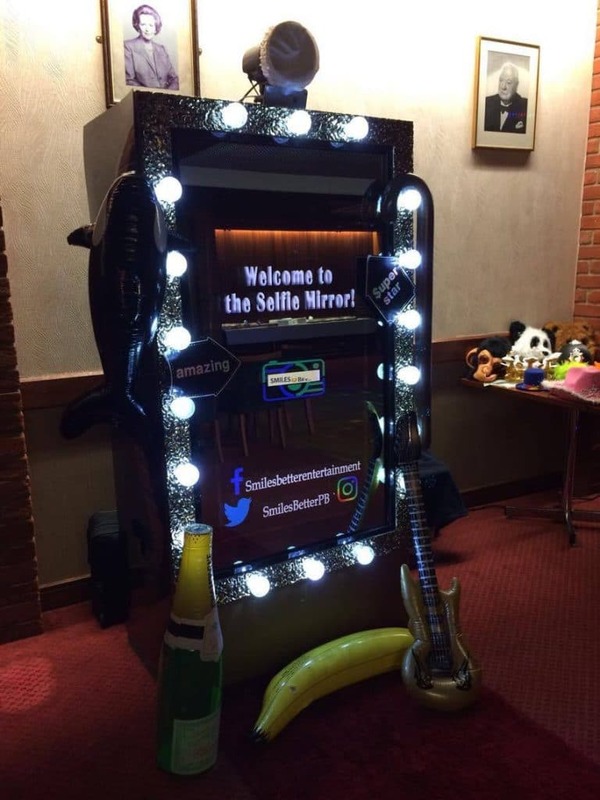 Your print with your photos are developed all in approximately 30 seconds for you to take away. 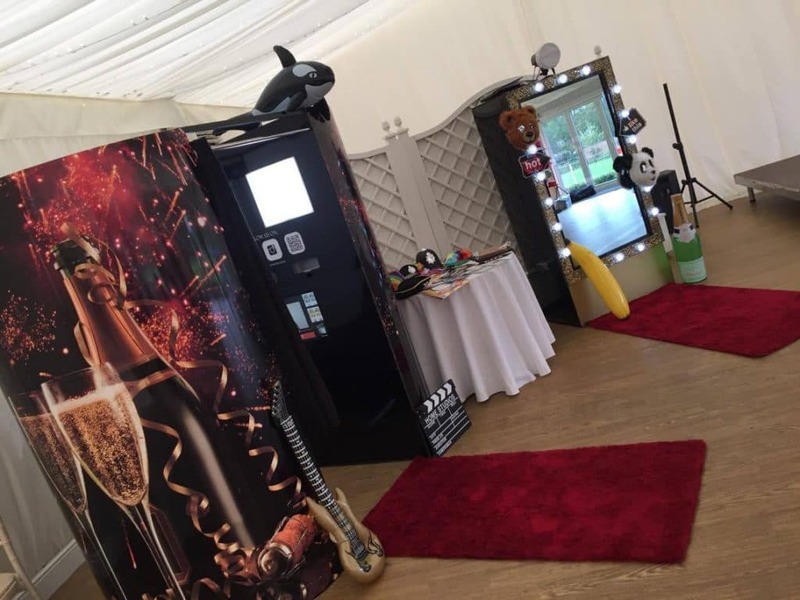 We can adapt a package to suit your individual needs to ensure you pay the best price possible for the services you want. 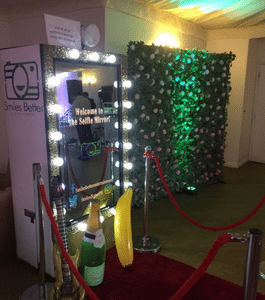 All that you need to do is to strike a pose and let us capture your “Smiles Better” than anyone else. 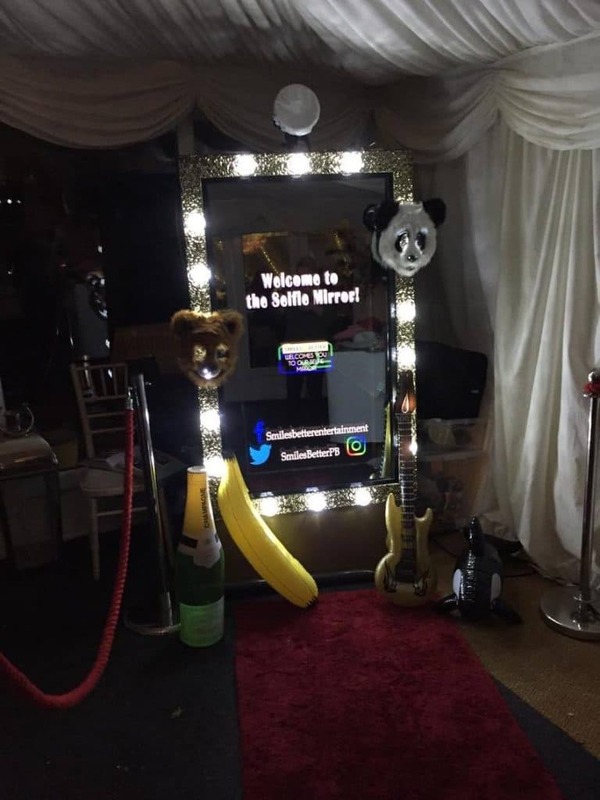 Photo templates are bespoke and personalised to your event, which can be agreed prior to the event itself. 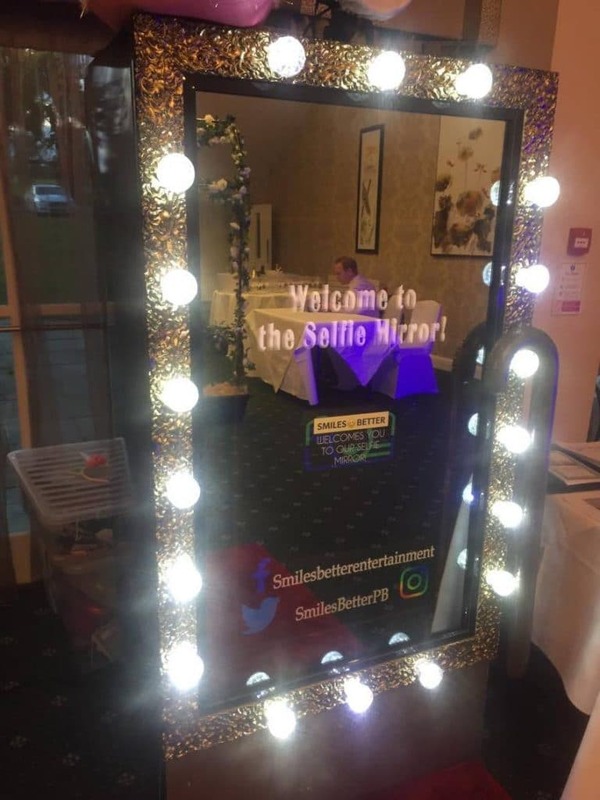 See some examples of our templates here.